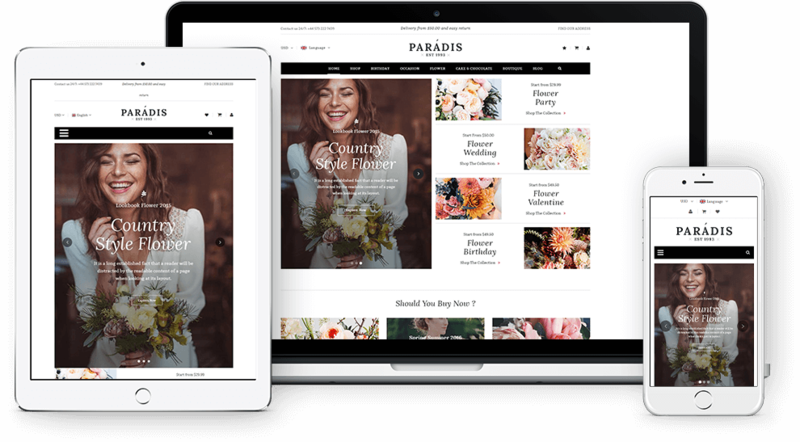 Paradise is our new Responsive WooCommerce WordPress theme dedicated for any kind of online stores with the professional layouts. Go along with 05+ homepage layouts and powerful extensions that will make your store outstanding. You are free to change the new appearance of your store with our 8+ artistic and gorgeous homepage layouts.. Integrating responsive function that gives your online store a beautiful interface on any high resolution devices or mobile and tables. Our built-in mega menu is the perfect choice for large menus. You can set up columns and rows, use icons and images easily. Paradise is built with new web technology: Bootstrap 3, Font Awesome 4, LESS, CSS3, HTML5 that makes the theme more powerful and flexible. We integrated One-click import function in this theme. Just simple with one-click you can import easily data and pages with sample content from the demo. Theme uses the excellent WooCommerce plugin to transform your WordPress website into an eCommerce store with lots of awesome features. Visual Composer is an easy to use drag and drop page builder that will help you to create any layout you can imagine fast and easy. Animate your slider as your wishes, add as many as slides as you want and place them wherever on your site with powerful Revolution Slider. There are several premade color variations available to choose from. You can also make your own color theme easily. Your product detail will open with full necessary information like: image product, product price, description, product reviews, product attributes. Easy change theme options such as homepage layout, color, menu styles, etc in admin panel without touching any code lines. Color Swatches function integrated in configurable product which can show to your customers how a product looks like in different colors. Choose the demo page you like! Do you love this theme?